Join elephants in a jungle waterfall to splash and bathe. 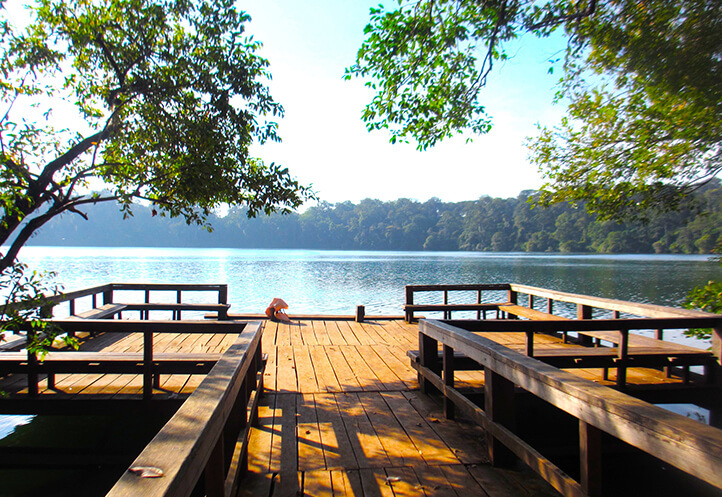 Swim in the emerald waters of a circular crater lake. 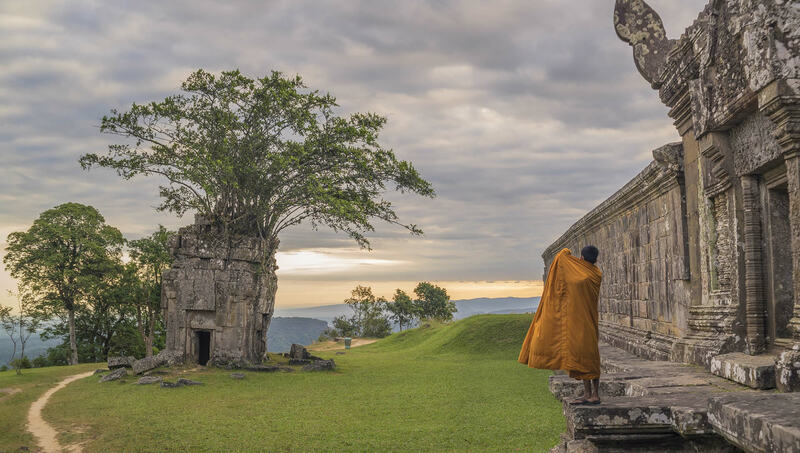 Explore the stunning temples of Preah Vihear and Angkor Wat. 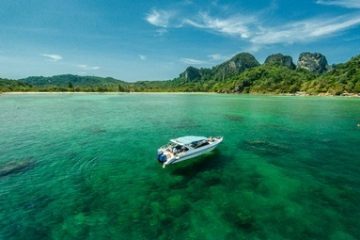 Travel off the beaten path in the wild northeast of Cambodia, home to elephants, dolphins, waterfalls, and remote villages. Cap the journey off in Siem Reap visiting the majestic Angkor Wat. Drive from Phnom Penh to Sen Monorom stopping along the way to visit the Memot Centre for Archaeology. 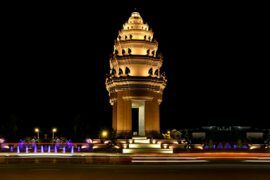 After lunch in a local restaurant visit Yok Sros Phlom (Phnom Dos Kranom) mountain & pagoda . In the morning set off from Sen Monorom. In the village of Pu Loung stop to buy some tasty bananas for the elephants. 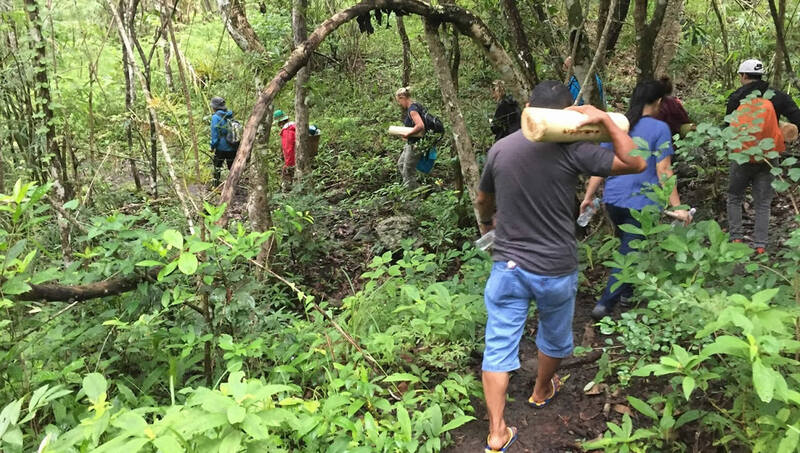 Meet your guide, Phnong, and together set off on a trek through the jungle. 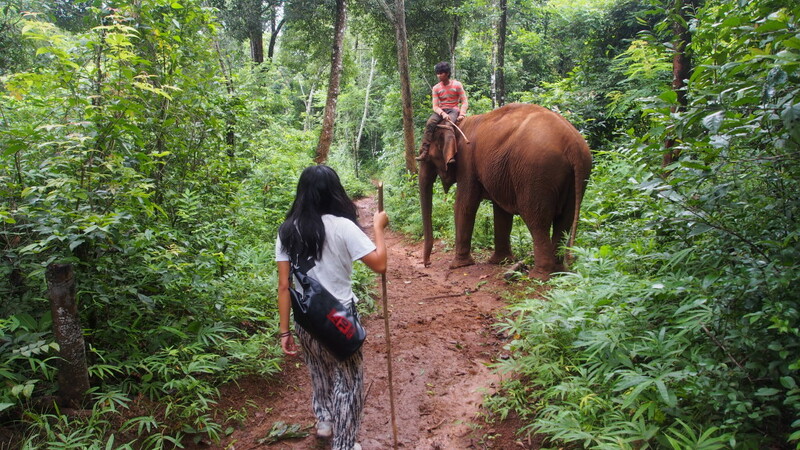 As you walk, Phnong will explain about the life of the elephants and the correct way to feed them. When you reach the elephants, take some time to relax, and then, along with the mahouts stroll with the elephants through the forest. Walking alongside, rather than riding, is a much better way to bond with, and understand these gentle giants. Enjoy a freshly prepared Khmer lunch served in a banana leaf, the same way that the local tribes eat. After lunch, walk to a waterfall near the river. Relax and cool off in the refreshing water as you help to wash the elephants. Then say goodbye to your new friends before heading back to town. Visit Eisan Ratanaram Pagoda (Reclining Buddha) and then continue to Yeakloum Lake. This beautiful, emerald-hued circular crater lake is set amid the vivid greens of the towering jungle. It is believed to have been formed by a volcanic eruption almost 4,000 years ago. There is a walking path along with several wooden piers dotted around the perimeter. 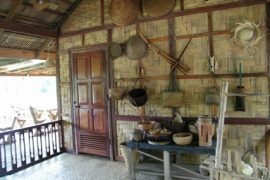 A quaint wooden building houses a modest display on ethnic minorities and tribal handicrafts. Spend some time swimming in the lake before the return to town. Take an excursion to Phum Dal, Andong Meas and the tribal cemeteries of Tumpoun. These traditional tribal cemeteries are one of a kind in Cambodia and can only be found in Ratanakiri province. Travel by vehicle from Banlung to Preah Rumkel via Thala Borivath. 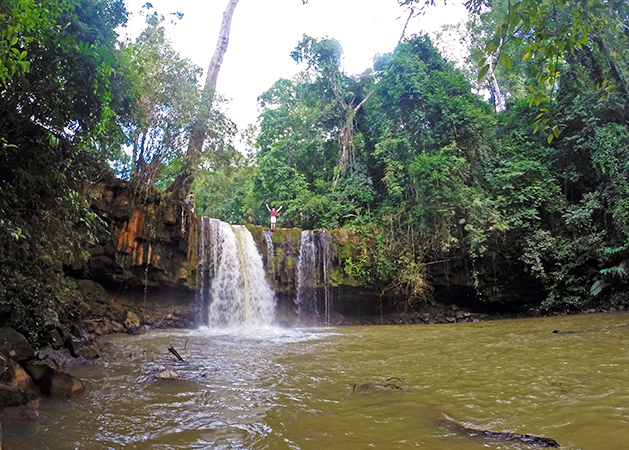 This morning, travel to the dolphin pool and Preah Nimeth Waterfalls, a beautiful waterfalls rarely visited by tourists. 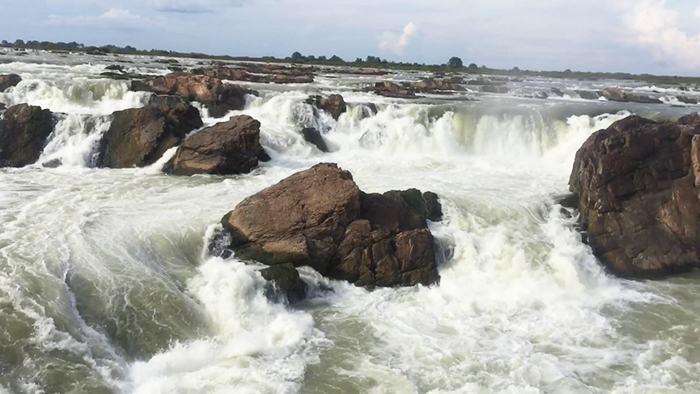 After breakfast, you will take a boat ride along the Mekong River to visit the Great Mekong Waterfalls (Preah Nimeth Waterfalls). 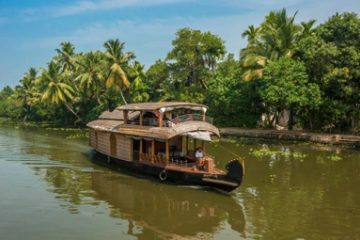 You’ll journey by boat for about 25 minutes, then disembark and continue with a short 30 minute easy trek to the Waterfalls. Along the way take in the natural beauty of the area and relax and enjoy the beautiful scenery before returning back to your homestay for lunch. 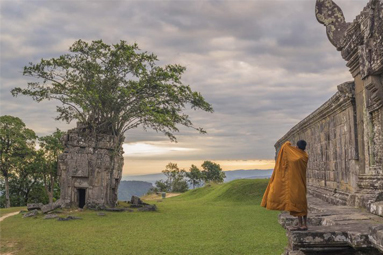 Today, visit the Preah Vihear temple, perched on a dramatic mountain crest. 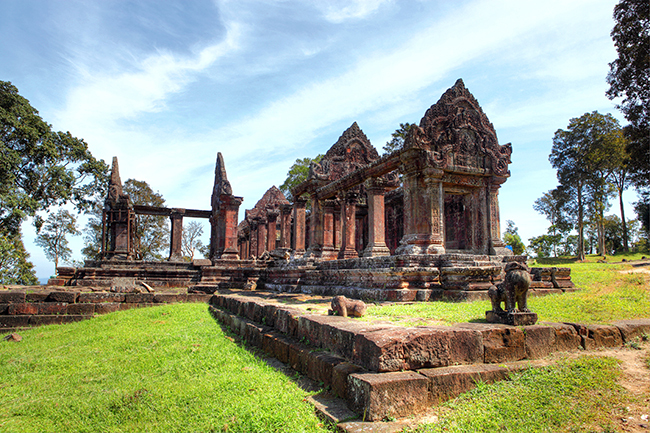 This stunning temple complex dates from the reign of Suryavarman I and was once an important pilgrimage site. The temple is a series of five gopura, or gateways, connected by causeways that lead to the central sanctuary located on the edge of the cliff. The climb to the top of the mountain is approximately two hours on shaded but steep mountain paths. Alternatively, it is possible to ascend the mountainside by local truck. At the peak, you will be rewarded with spectacular views over the plains below, stretching as far as Phnom Kulen in the distance. Drive from Sra Em to Koh Ker. Previously the capital under the rule of Jayavarman IV, this is now an interesting group of ruins, featuring the pyramidal Prasat Thom. Continue to Siem Reap. Spend a fun day exploring the stunning Angkor scenery, ancient temples and a floating village by local boats and eco-friendly e-bike. After a short briefing, start up your e-bike and drive out of the town into the countryside passing by small rural villages and old temples. Take a break at an ancient reservoir and enjoy a refreshing drink. Stop for a while to explore Prei Monti, a small 9th century temple nestled among trees. As this is off the usual tourist trail you may well have the entire temple to yourselves. Continue driving through the east and southeast gates of Bakong Temple to a local open-air market. 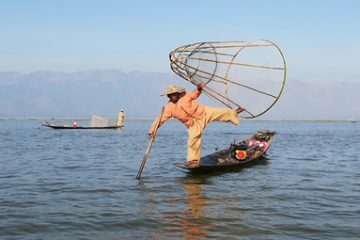 Another vehicle will then take you to Kampong Phluk, a floating village built on wooden stilts over the Tonle Sap.After lunch in a floating restaurant cruise through the village to gain an insight into the lifestyle of the local people who make a living from the lake. Paddle among the submerged trees in the flooded mangrove forests keeping an eye open for fish, crabs and water birds. Finally visit the three temples that make up the Roluos Group. 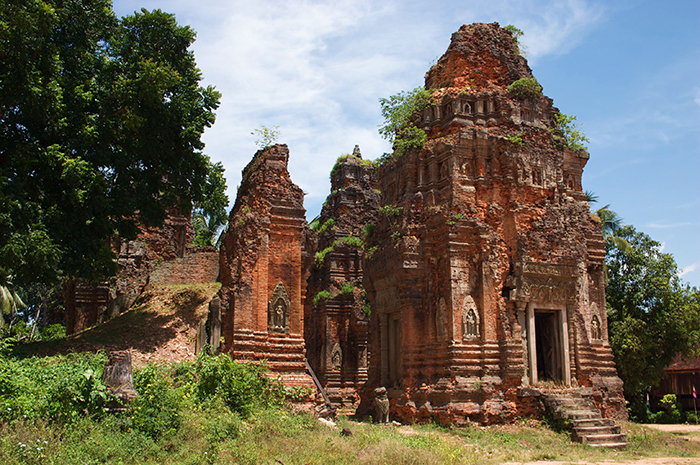 These are some of the earliest great temples and mark the beginning of the classical period of Khmer civilisation. They date from the late 9th century when they served as the capital of Indravarman. 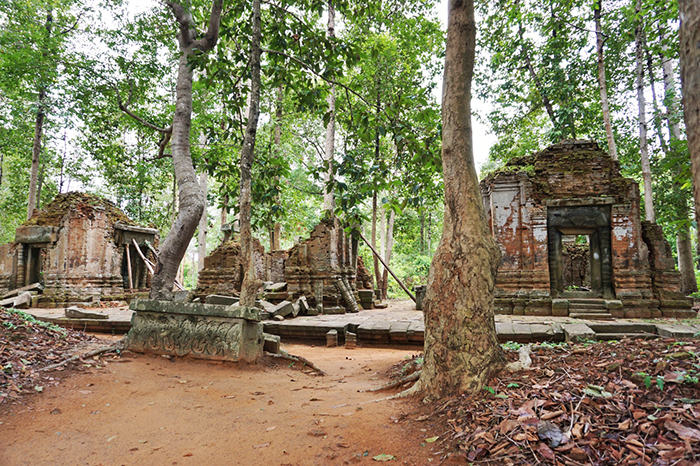 Bakong Temple is the largest of the three and is home to an active Buddhist monastery. Preah Ko Temple, also known as Sacred Bull, features Sanskrit inscriptions on the doorsteps of each temple. In Lolei Temple photograph the beautiful sandstone carvings in the niches and the Sanskrit inscriptions on the doorposts. After exploring the three temples return to your hotel.